Awdry Bailey and Douglas Solicitor Nicola Hibbert and Legal Assistant Catherine Cole are looking for members of the public to sign up and attend a Dementia Friends Information session during Dementia Awareness Week on Thursday 22 May 2014. The session is FREE. Having volunteered to be Dementia Friends Champions, Nicola and Catherine will be delivering Dementia Friends Sessions to people across Wiltshire over the coming months starting at Awdry Bailey and Douglas Offices in Devizes. They will be talking about what it is like to live with dementia and turn that understanding into ACTION. The session will take place from 10.00 – 11.30am. Dementia Friends is an initiative by Alzheimer’s Support to help members of the public understand what it might be like to live with dementia. 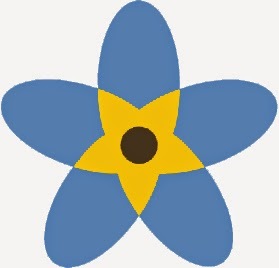 Alzheimer’s Society is aiming to have one million Dementia Friends by 2015, to help make England more dementia friendly and improve the lives of the 670,000 people who are currently living with the condition. IT’S CARNIVAL TIME AT ROYAL WOOTTON BASSETT! Royal Wootton Bassett Carnival first started in 1972 and is in its 42nd year! This popular family event will be taking place on Saturday 17 May 2014. The carnival traditionally draws large crowds of people and brings out the best in the Royal Wootton Bassett community with local businesses supporting the event and helping to make it a great and memorable day. The procession will be led by the Bournemouth Carnival Band, followed by various colourful floats, majorettes, steel band, dancers, musicians and more, all taking part in a parade that starts at Marlowe Way, ending at Lime Kiln. The floats will be judged by Royal Wootton Bassett Mayor Councillor Sue Hughes. In the evening further entertainment will take place including a fun fair. A fun packed family day out! For more information go to www.woottonbassettcarnival.com.